Ridiculously Easy. Universally Compatible. Highly Productive. 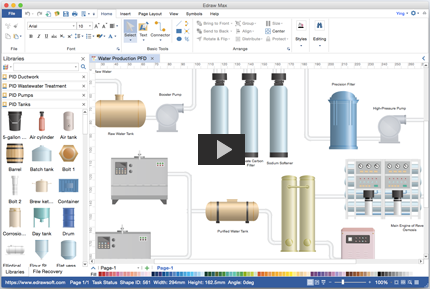 An easy-to-use P&ID software for creating piping and instrumentation diagram on Mac, Windows and Linux. Mac users can create professional-looking P&ID with ease in the OS X platform. The cloud-based feature helps users collaborate better when making P&ID in real time and communicate effectively. As for P&ID software for MAC, Edraw stands tall as one of the most competitive programs ever. 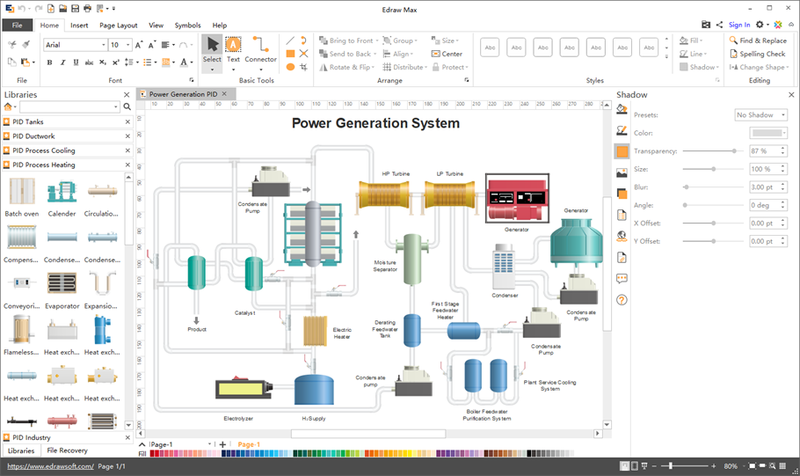 It is a great P&ID Designer Visio alternative on Mac OS. Other online programs demand costly monthly or yearly subscription fees while Edraw offers a lifetime license in affordable price. As a diagramming application coming with extensive symbols and templates and various tools, it's embraced as an effective P&ID desktop program for Mac system, which is selected as the favorite by most of our users. Contains a comprehensive collection of P&ID symbols, including over 1000 black and white P&ID symbols and over 1500 colorful photorealistic shapes. Modify the smart symbols using a floating or pull-down menu. Just drag and drop them to use. Add text to describe the symbols above or below it or anywhere you like. Along with the built-in connection points, it is easier to represent each instrument and how they are inter-connected in the process. Here are great P&ID examples that offer you great ideas. You can easily access them right within the software. 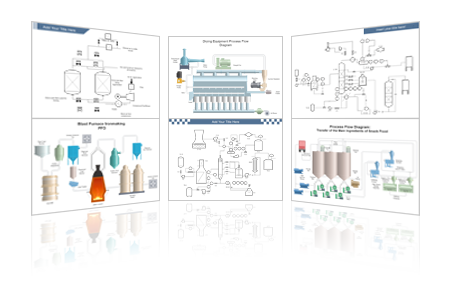 You can also find more on our website. With these ready to use examples, you are only 1 step away from a desired P&ID. Just fill in your own contents and change the style as you wish. We deal with the hard stuff and users just enjoy the nice and high quality results. To create a P&ID, Edraw is the optimal choice for its ready-to-use P&ID symbols and other advanced features. 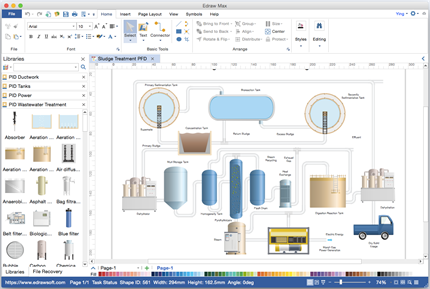 Many design steps have been automated by the point-and-click editor. 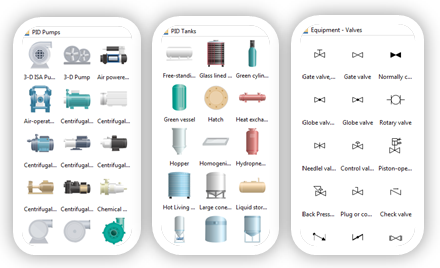 Drag and drop P&ID symbols to represent the equipment, pine and flow of your process. Use the floating action buttons to adjust pipe size and resize shapes through the selection handles. Choose a specific P&ID template before drawing. Here are the P&ID drawing types available in the software. You Will Love This P&ID Drawing Tool For Mac! Enjoy creating P&ID on Mac with this easy-to-use software. You'll be surprised by its abundant symbols and templates, amazed by how easy it works, and satisfied with the service and price. Try it today!